Here we have a very classic Norton – a John Player model – with only 15,636 miles. 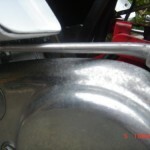 The bike is not restored and far from perfect, but looks to be very original in terms of condition, parts and patina. 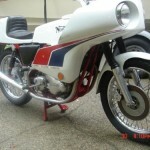 The John Player Norton was a street-going machine intended to invoke the famed racers of the day. 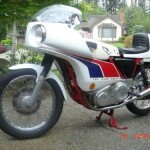 As with most competition, the “win on Sunday, sell on Monday” applies to motorcycles as well. Still, the JPN model is pretty rare in relative terms. For more information on the JPN model, check out this excellent post by fellow CSBFS contributor Brian. 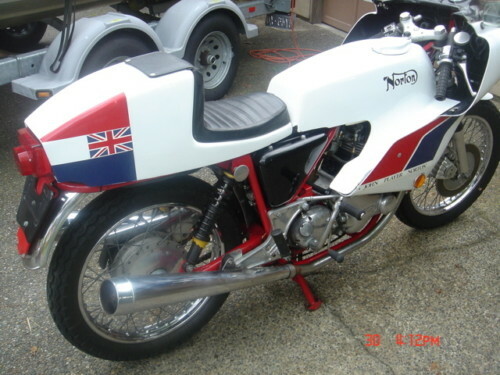 This is believed to be an authentic John Player Norton in spite of the chrome exhaust system. It is titled as a 1975, however, the engine and gearbox numbers are 316923 which appears to mean a June/July 1974 production date. Not sure of the frame number. 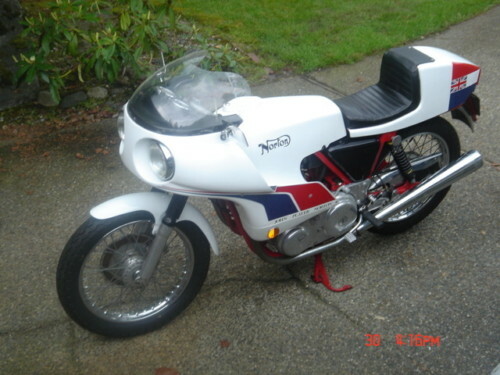 I purchased it in 2002 from a neighbor who indicated he had owned it for about 10 years and bought it from a dealer in Olympia, WA. 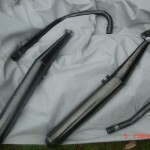 The black exhaust system (in good condition) comes with the bike. It has been stored since 2004. It ran well when I bought it and turns over now, but has not been started since going into storage. At some point the frame was painted red, but is black underneath. The wheel rims have some surface rust. 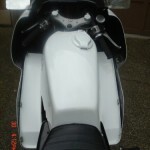 The fairing is in good condition except for the scrape indicated in the picture. The lefthand edge of the plexiglass windscreen broke off and has been glued back on. 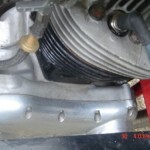 With these exceptions, the bike is in very good condition for its age. 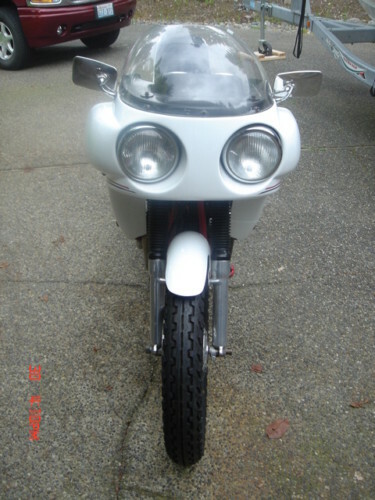 If you can get past the bug-eyed front view, these are pretty neat bikes. They are reasonably rare, historically significant, and decent riders. This one is not perfect, but all the pieces are there should you want to make it so. Previous story ANOTHER instant collection of bikes on eBay!